Almost four years ago, I wrote a post called Infertility and Suicide — What’s the Link?…which was later followed as well by this post. Sadly and tragically, it is the most actively commented on blog post that I have ever written in my life. This fact cannot be ignored. Suicide in America and the world at large is at an all-time high. Infertility is just yet another wrinkle in life’s twists and turns that can throw even a normally optimistic person into the fire. “Cathy mentioned that it is common for women to get post natal depression after having a baby through fertility treatment. Two years ago after seeing a therapist I found out that I had post traumatic stress after the miscarriage (from 5 years earlier) and that I suffered from post natal depression that wasn’t treated, so led to depression. I knew what I was feeling wasn’t right after having our daughter, but how could I admit to being depressed, even to myself, after getting pregnant following fertility treatment? This was what I wanted so much, I loved my baby so much – how could I be depressed when so many don’t get this far? Even whilst I held my baby daughter I thought about ending my life – tears are streaming down my face as I write this now, remembering those thoughts. “It is the worst feeling in the world. When I was younger I was unsure about children but I always wanted some once I found the right man. I love my husband and I feel like I’m disappointing everyone by not being able to get pregnant. We’ve been trying for almost three years and I won’t do IVF because we can’t afford treatment besides vitamins or medications. I think about suicide lately when I think about how sad I am that I can’t have a baby. Why do people who don’t care about anyone but themselves have more fertile power than I do? And people who hate each other always fighting can have babies and not me? I would be able to control my temper and emotions just like I do today… just trying not to explode with anger at the fact I’m going to disappear and the world won’t care or notice!!!!!!!! You May Like In everything, give Thanks ! I absolutely applaud the vulnerable sharing, the courage, and the daily perseverance these woman have as they grace us with their very real, raw, authentic feelings and thoughts that they are struggling with. The more good folks stand up and say “Hey! I need help! Here’s what I’m struggling with!” — the better. It helps give others permission to do the same. I am filled with gratitude by all of these brave souls who took a moment to deepen the collective reality of how much infertility (and all of the complications that go with it) can devastate not only one life, or just the couple’s life, but many, many lives. That is the inconvenient truth. I wish to offer some HOPE to all reading this, no matter what you are struggling with, but particularly anyone struggling through infertility — man or woman. YOU ABSOLUTELY DO MATTER!— Your voice matters. Your words matter. Your struggles matter. YOU matter. You matter to me. To everyone here reading this post. To your brothers and sisters who are experiencing the same struggles that you are. To those that love you, and they do love you. You are beautiful, inside and out. I love you and I care. So do many others. Know this deep in your heart and soul. YOU ARE COMPLETE AND PERFECT RIGHT NOW— You don’t need children (or insert anything else here) to be complete. You are perfect. You are exactly where you are meant to be. You CAN survive these struggles. You ARE surviving these struggles. And one day – possibly very soon — you will THRIVE partly due to these struggles. You are a hero in my book. An absolute HERO! I applaud your efforts to survive right now, and your future contribution to all of us just by being here. The concept of “failure” is flawed. We don’t “fail”. We learn. We progress. We move forward. We grow. Keep growing in YOUR life. Don’t worry about other people’s lives. I don’t have any children, and I have created a life that brings me joy. If I can do it, you can too. I promise you that! YOU ARE NOT ALONE— Almost everyone here reading this post understands what you are feeling. I most certainly do. Even others who have not experienced infertility may have thought about ending their life for other reasons that they felt crushed by. I validate your experience, and I get it. Please, please, please know that it is POWERFUL and a sign of STRENGTH to reach out for help. 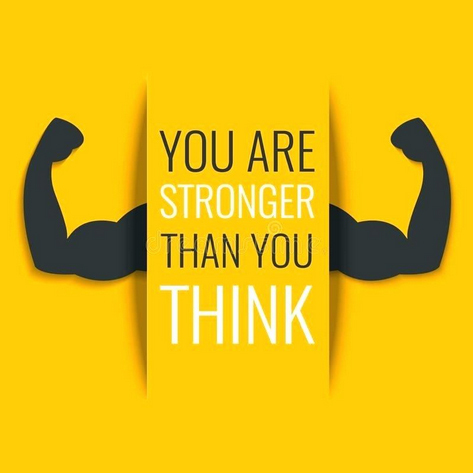 You are stronger than you believe you are. I know it. And deep down, you know it too. You got this! You will get through it. Whether you have children or not. You are valued and a valuable human being. You have much to offer the world. There are MANY ways to live out your legend. Leave a legacy that makes YOU proud. What have you always wanted to do? Write a book? Create art? Visit Rome? That all awaits you when you are ready. Leave a legacy and live your legendin a way that makes sense to YOU. It does not have to look like anyone else’s journey. There is a movement called “Out Of The Darkness”that may offer some hope and guidance as wellin terms of suicide prevention. Remember that you are definitely not alone. I will leave you with this video. May it offer hope today and any other day that you need it. I care about you. Keep going. I’m rooting for your success to the next chapter of your life, whatever that looks like. Please join Julia next week to hear more about her own personal journey down the fertility path. I look forward to speaking with you soon. I wish you the best on your respective journey. Thank you, Cathy, for highlighting this connnection and the voices of women who have experienced this firsthand. Such a tragic and important topic. Thanks for drawing more attention to this. It’s something that we really do need to discuss more openly and shed light on to provide more support. You May Like Build a life you're proud of - one day at a time ! You May Like What Does Family, Empathy, and Privilege Mean to You?